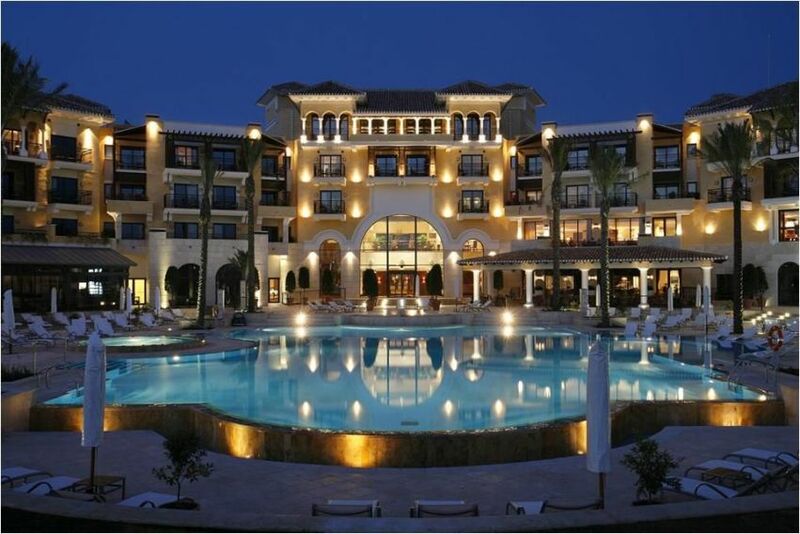 Welcome to Murcia’s finest resort – Mar Menor Golf Resort. With a large number of facilities, restaurants and bars the resort has established itself as the preferred choice for many discerning buyers and guests. 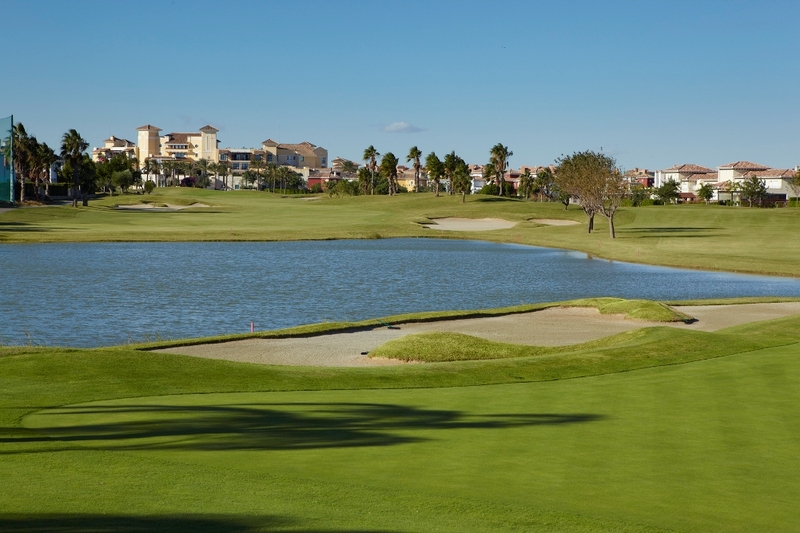 The Mar Menor Golf Resort is a golfers paradise, golfbreaks.ie have some fantastic packages for this great resort that offer preferential rates on 6 local golf courses, some of which are designed by Jack Nicklaus. Located only 20 minutes from the historic port of Cartagena, 10 minutes from San Javier (Murcia) airport and only 10 minutes to the traditional seaside town of Los Alcazares. Mar Menor Golf Resort is well placed for a relaxing break on the sunshine coast of the Costa Calida. Holidays – Families love the safe resort surroundings, communal swimming pools, entertainment and various activities enjoyed onsite. For golfers Murcia has become the number one choice due to the large number of high quality courses in the vicinity. 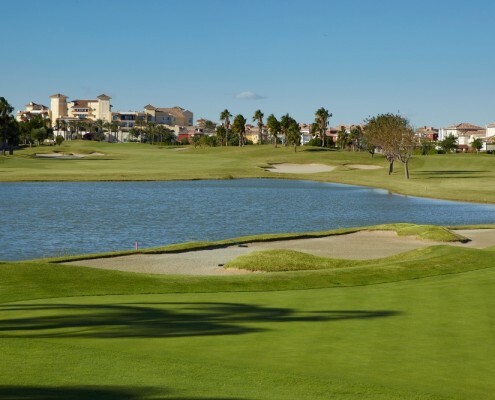 Mar Menor’s very own golf course has been designed by the world renowned golf designers ´Nicklaus` and has become one of the most popular golf courses in the area, with pre booking a must to guarantee a tee time. Located at the heart of Mar Menor Golf Resort and surrounded by the golf course this intimate hotel is noted for its traditional cosy style and relaxed atmosphere. The hotel has 64 spacious luxury rooms, 7 are suites. All of them with private balconies and large bathrooms that offer an independent shower and whirlpool bath. The hotel also offers a full range of gastronomic options and entertainment including a traditional Irish pub. The luxury accommodation is complemented by our Spa. Located on the second phase of the resort is The Residences luxury two and three bedroom apartments which offer larger accommodation, ideal for families. Breakfast at the Intercontinental hotel and a free shuttle service is included in the room rate. The high efforts regarding the service quality and high level of maintenance within the golf courses, are complemented by hospitality facilities with the same exclusive standards: 5* Intercontinental Hotel-Spa – The HIC Mar Menor and the apartments “The Residences” at Mar Menor Golf Resort.